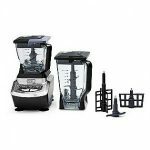 Did you know that Ninja blenders feature three different speed settings that will allow you to complete almost any task in the kitchen? 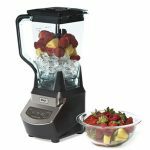 Capable of performing the same functions as both a blender and a food processor, its three preselected control speeds will allow you to precisely control the action of this blender. The first speed setting of Ninja blenders is Pulse 1, and it is best used for kneading dough. It starts off slowly and gradually increases its speed, but it also remains at a constant speed. You never have to worry about it going faster than needed. When it comes to kneading dough, let your blender do all of the hard work! 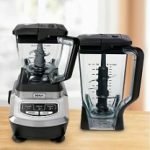 The second speed setting of Ninja blenders is Pulse 2. 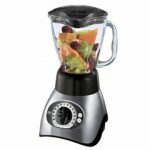 This is the speed setting you want to choose when you need to create smoothies, soups, or other fruit based concoctions. This is also the setting you will want to choose when you are blending multiple items. The blades are extremely sharp, so it must be used with care! 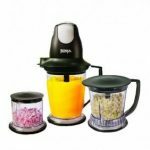 Finally, the third speed setting of Ninja blenders is the Pulse 3. This is the function you will want to choose for crushing things, like ice. 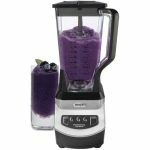 It can crush both ice and fruit within just seconds! Whether you are making frozen margaritas or iced coffee, you will be pleased with the results it produces.